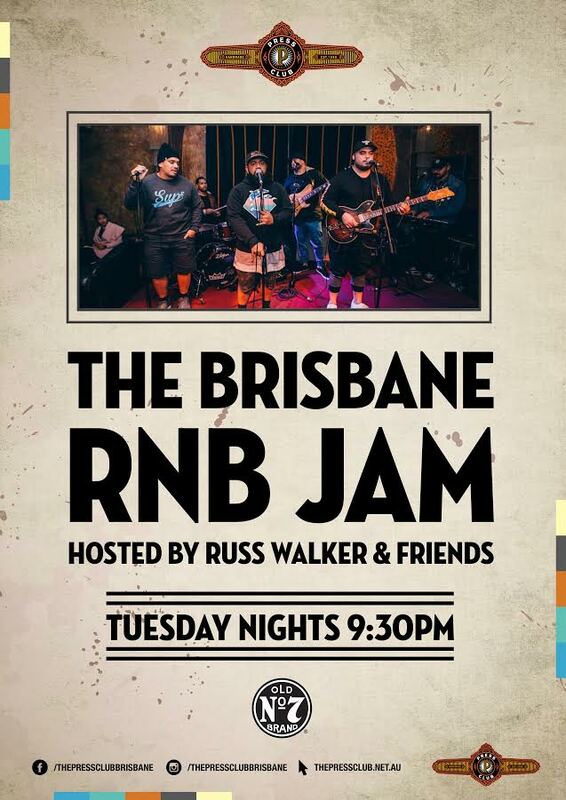 Join The Brisbane RNB Jam every Tuesday night for an open mic jam session at Press Club from 8.30pm! The Press Club hosts the biggest and best RNB jam nights in South-East Queensland! Showcasing some of the best artists in an environment that suits all music lovers, from soul, hip hop, RNB, gospel, and more. Hosted by Russ Walker + friends with surprise special guests every week!